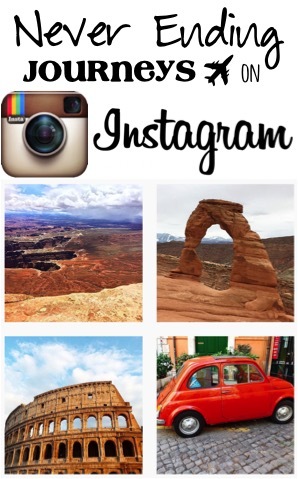 Going to Utah? 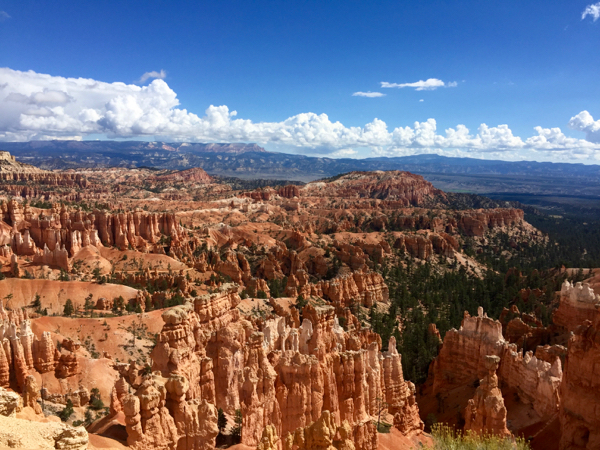 Do yourself a huge favor and use these Bryce Canyon Travel Tips to plan your trip! Warning: if you hike this trail, you will end loving it and wanting to hike it several more times in a row! 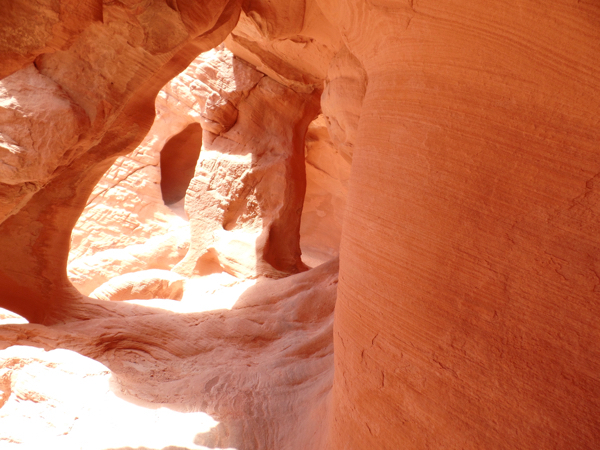 To do this hike, you start at Sunset Point, and take the Navajo Trail down into ‘Wall Street’, an extremely narrow slot canyon! And, once you hike through the slot canyon, you’ll see some soaring Douglas Fir trees that will make your neck sore from looking up… and you won’t even mind! 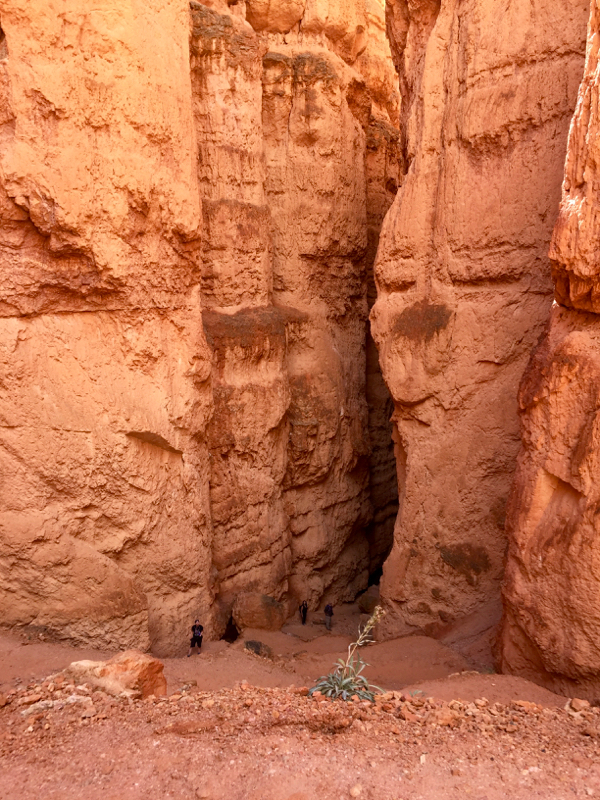 After you pass the tall trees, the canyon widens out, and you’ll walk along the floor of the Bryce amphitheater for about one mile, before coming to a three-way junction in the trail. Be sure to take the Queen’s Garden trail after you get to the junction! 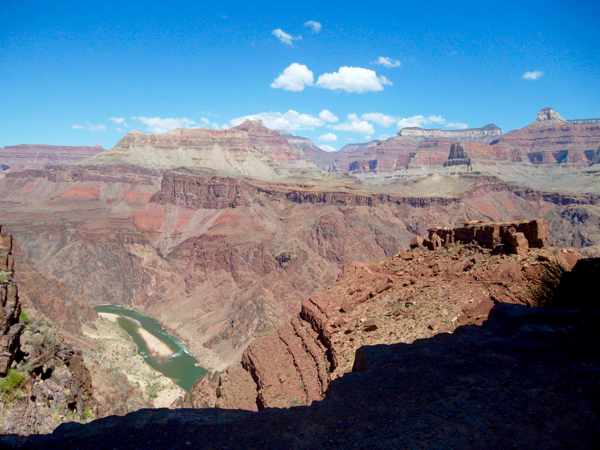 Over the course of the next 2 miles, you very gradually ascend from the floor of the canyon to the rim of the amphitheater, and the last 20 – 30 minutes of the hike have really incredible views! 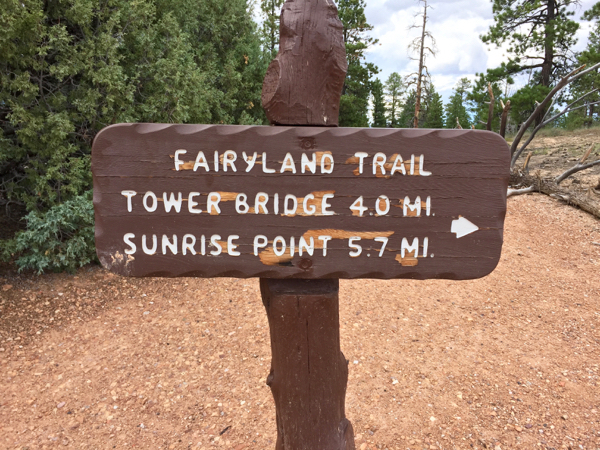 If you want to hike a trail and have the entire canyon to yourself, I recommend hiking the Fairyland loop trail! When I last hiked it, I only encountered 20 or so people the entire hike. 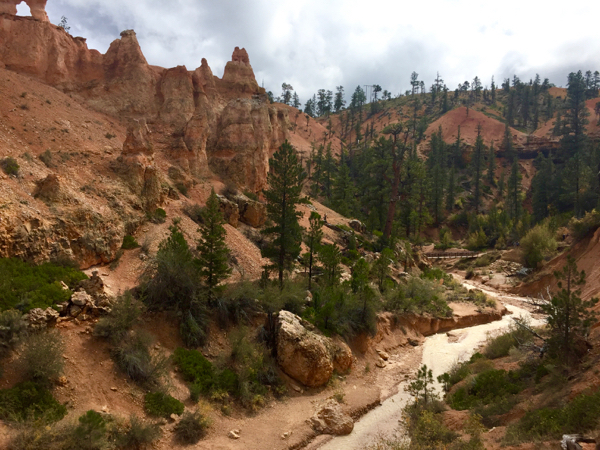 And like every other trail in Bryce Canyon, the views are simply amazing! 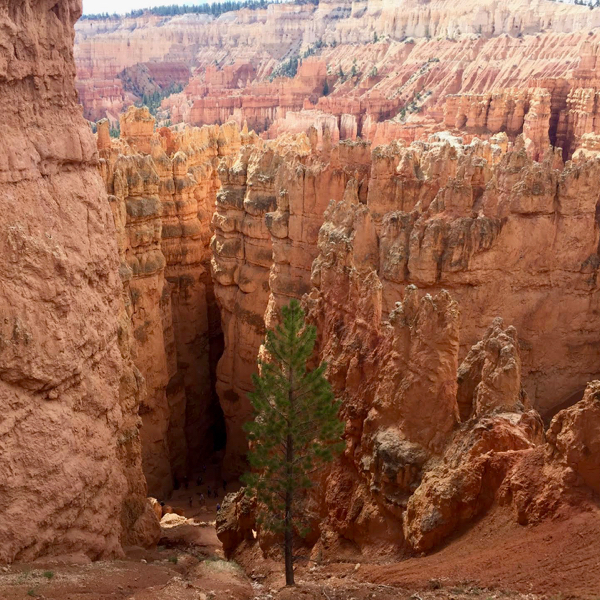 This quick loop trail, at the southern end of the Bryce Canyon Road, will take you through a grove of Bristlecone Pines, gnarly and hardy little trees that happen to be the oldest in the world! 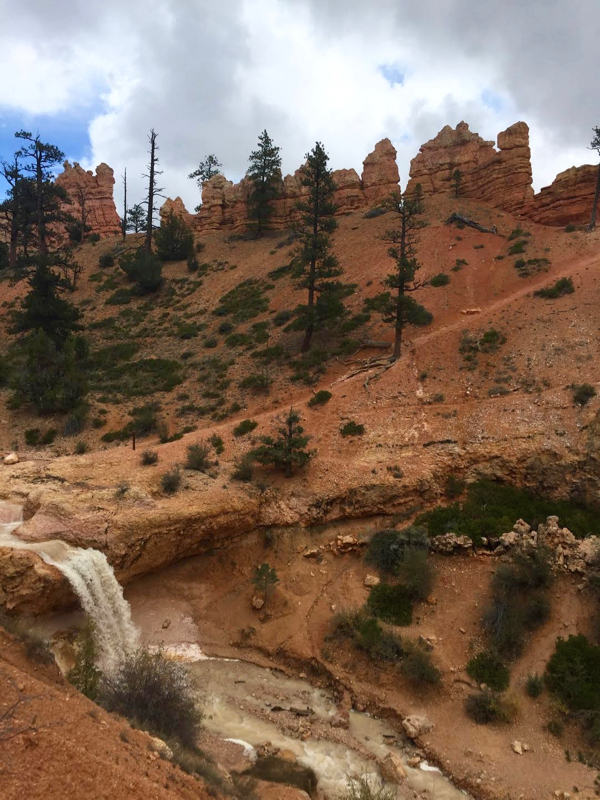 Tucked away in a little scenic valley, this waterfall is one of the less visited attractions in the park and one of my favorite hikes at Bryce! You start by entering a wide, short canyon, hiking along a fast-flowing stream with orange hoodoos towering over you. You cross the stream twice, on sturdy metal bridges, and you can see the waterfall for the first time from the second bridge! If you keep on hiking, you’ll come to a split in the trail. Staying to the right will bring you right up to the waterfall. The waterfall is especially beautiful in the Spring, when the water flow really picks up from all of the snowmelt! 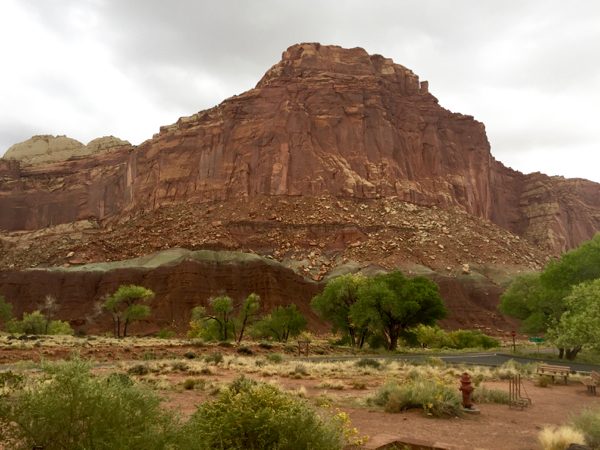 If you’re going to day trip down Highway 12 to Capitol Reef (see below), that’s a great time to hike the Mossy Cave Trail, as it’s right on the way there! Chances are, you’ll find yourself on the Rim Trail at one point or another, hopping to and from different viewpoints and trails. It’s the only trail that stays open during the winter, and the views of Bryce Canyon blanketed in freshly fallen snow are always breathtaking! Rainbow Point and Yovimpa Point – These adjacent viewpoints, both located at the southernmost end of the park road, offer tremendous views over the whole natural ‘Grand Staircase’ geological area, with so many different layers of rock over thousands of feet in elevation difference! 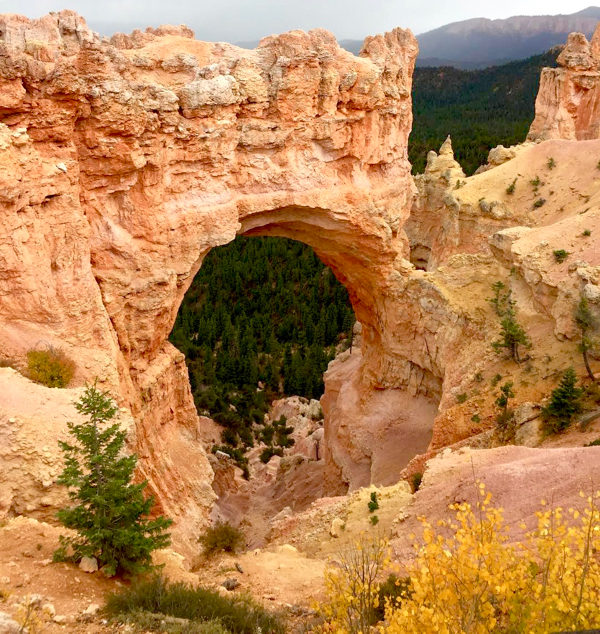 Natural Bridge – Utah may be famous for being the home of Arches National Park, but it’s not the only place you’re gonna find incredible natural arches… Bryce Canyon’s Natural Bridge is equally as impressive! The arch is truly gigantic, over 200 feet tall! Bryce Point – At the southeastern end of the humongous Bryce Amphitheater, this viewpoint is a favorite for sunrise, sunset, and wildlife viewing! 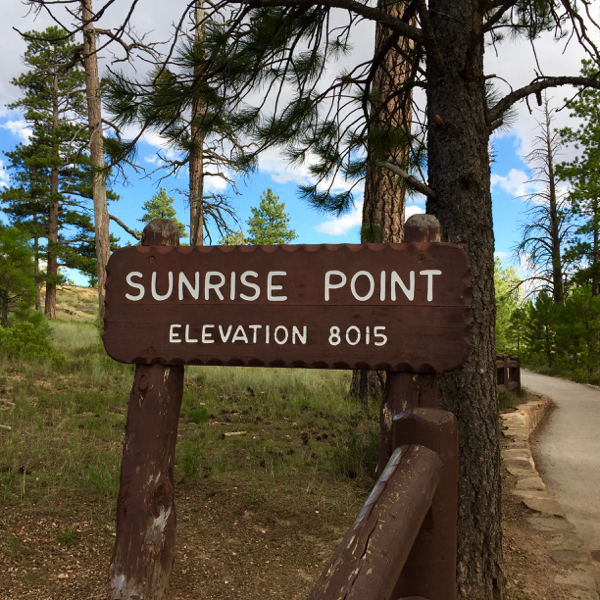 Sunset Point – Another one of Bryce’s beautiful viewpoints, Sunset Point is the starting point for a few trails, including Wall Street. Fairyland Point – A quiet viewpoint, this is also the starting point for the Fairyland Loop Trail. Located in southern Utah’s Dixie National Forest, you’ll pass through Red Canyon on Highway 12 if coming from the west. (Think Zion, Las Vegas) This neat little area may be overlooked, but sure beautiful… it’s like a mini, quiet Bryce Canyon! 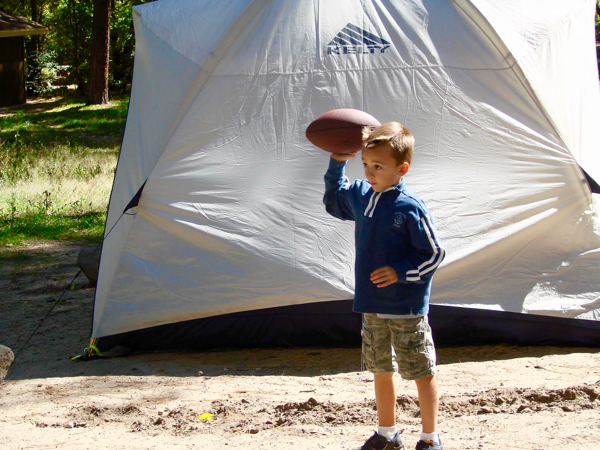 There are a handful of hiking trails to choose from, as well as a scenic bike path and a campground! With its towering canyon walls, lush vegetation, breathtaking waterfalls, and narrow slot canyons, Zion National Park is one of those places that needs to be seen to be believed! 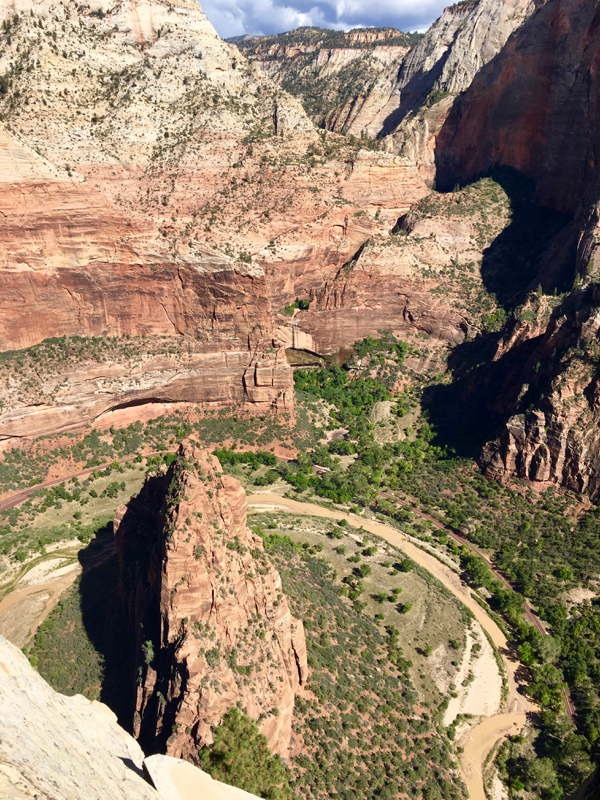 Check out these Zion National Park Hikes to find the 7 best hikes in this amazing national park! 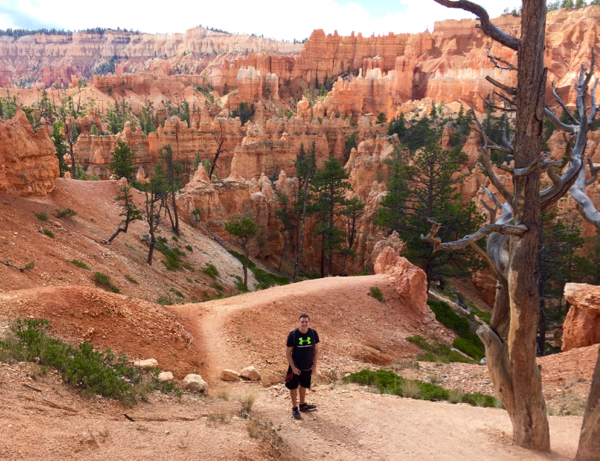 Cedar Breaks National Monument (About 1 Hour and 15 Minutes) – This huge amphitheater is basically like a mini Bryce Canyon, and there are a couple of breathtaking viewpoints! Coral Pink Sand Dunes State Park (About 1 1/2 Hours) – For the chance to see pink sand dunes, this state park is totally worth the visit! 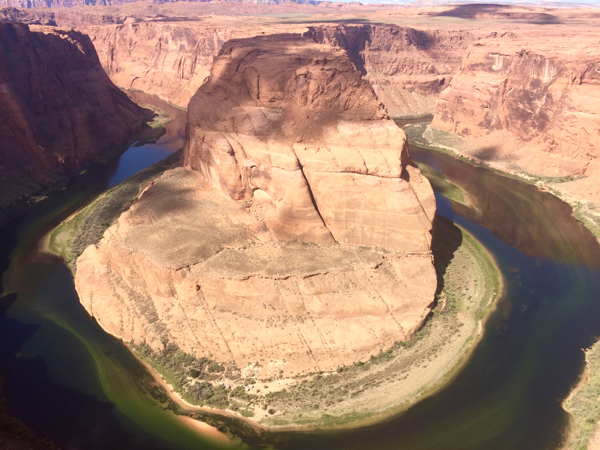 Snow Canyon State Park (About 2 1/2 Hours) – This Utah state park, home to an amazing sandstone canyon, has many amazing hiking trails and so much more! Great Basin National Park, Nevada (About 3 Hours and 15 Minutes) – This mini mountain range is not only home to the tallest mountain in Nevada and the only glacier in the state, but a few groves of Bristlecone Pines (the oldest trees in the world) and a cool cave system! 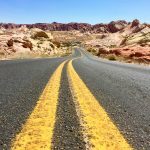 Valley of Fire State Park, Nevada (About 3 Hours and 40 Minutes) – This crazy red rock wonderland, just an hour from Las Vegas, has many short hikes to incredible places and two unbeatable campgrounds! 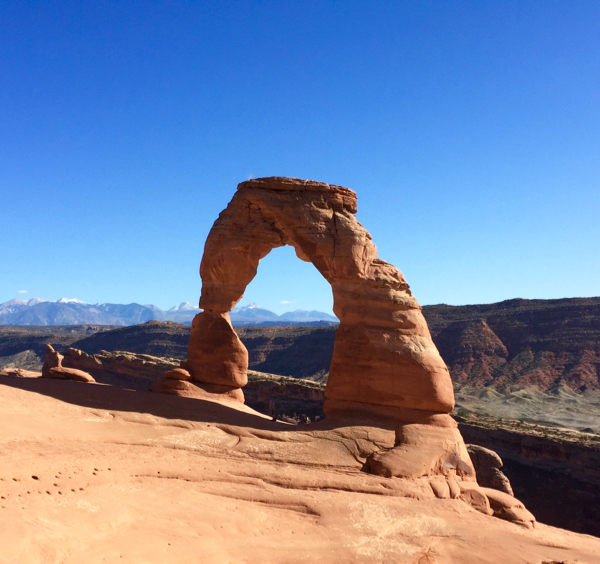 There’s no wonder why Utah’s Highway 12 is named an All-American Highway. 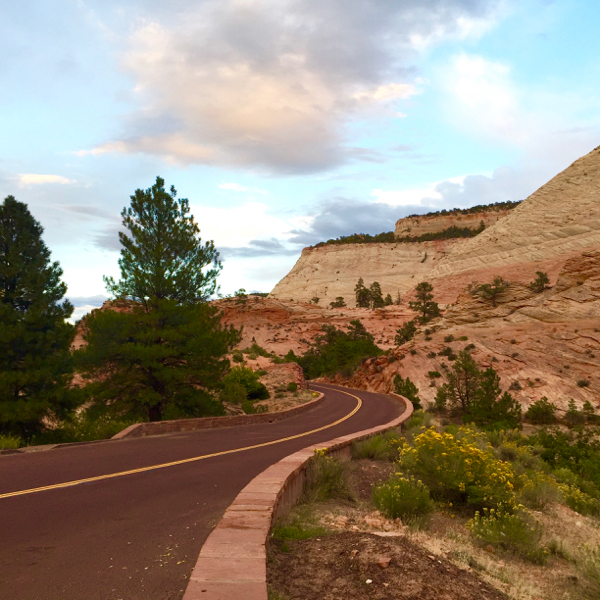 In a nutshell, this drive takes you down from the high forests of Bryce Canyon, past a handful of high desert towns and farms, before crossing the 11,000 foot Bluebell Knoll and then descending to Capitol Reef’s Waterpocket Fold. 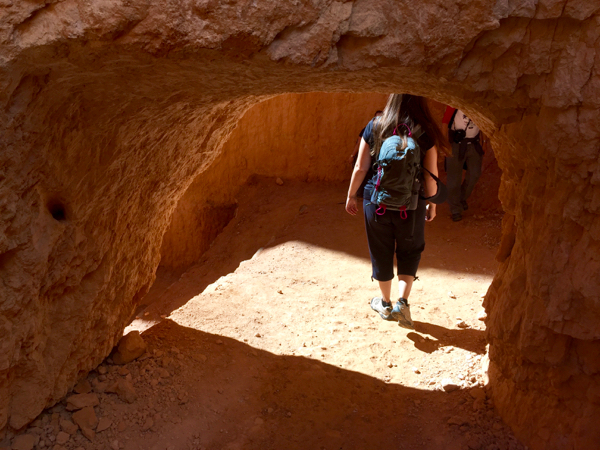 After you hike the Mossy Cave Trail, you’ll drop down into a farming valley, and pass through the small towns of Tropic and Cannonville, and continue on to Escalante Petrified Forest State Park. Overall, it should be about a 50 minute drive through scenic farmland. 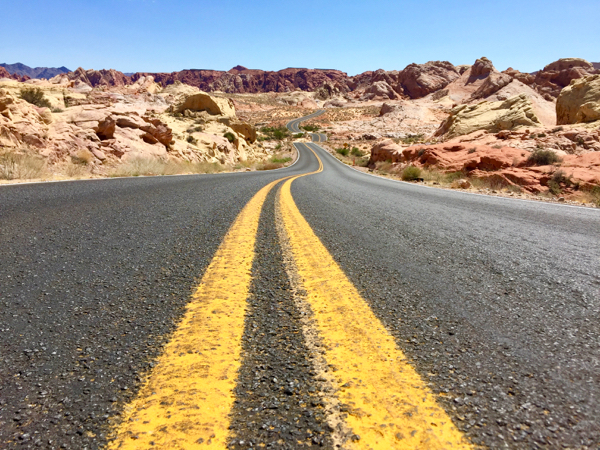 Also, along this stretch, you’ll pass by the road to Kodachrome Basin State Park, home to 60-something red rock pillars! 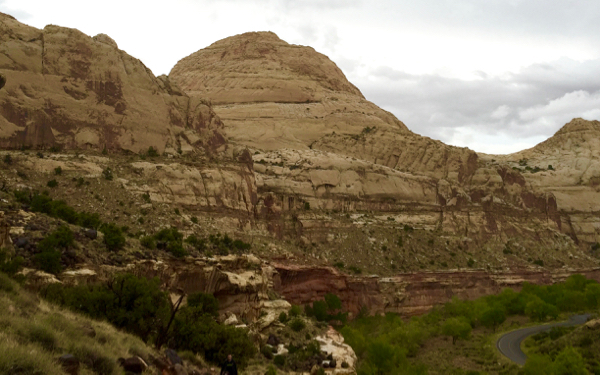 A view over the town of Escalante from the state park. 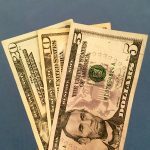 There is an $8 fee to enter Escalante State Park. The park has a 1 mile loop trail (Petrified Forest Trail) and an additional 0.75 mile loop (Sleeping Rainbows Trail). 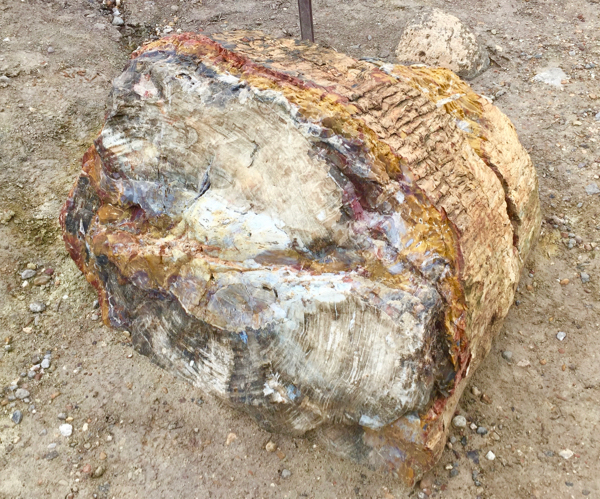 I recommend hiking both trails, which is 1.75 miles in all, to see the most petrified wood. 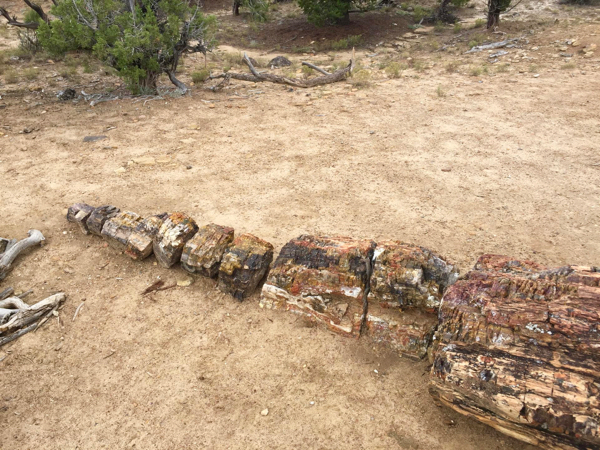 Along this hike, you’ll see logs, parts of logs, and broken bits of the amazing multicolored wood! 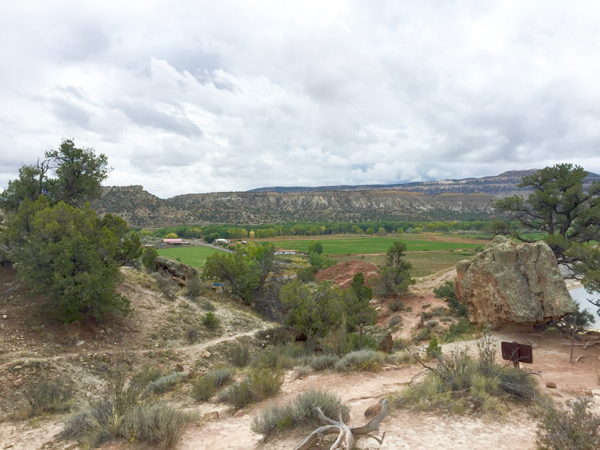 Plus, some parts of the trail offer scenic views over the nearby reservoir and town of Escalante. After seeing the petrified wood, continue driving east for about 10-15 minutes to the Head of the Rocks Overlook. From here you’ll see the high desert terrain and Highway 12 as it winds its way around the crazy landscape! Soon after this viewpoint, you’ll pass by the trailhead for Lower Calf Creek Falls, a truly amazing oasis in the desert! 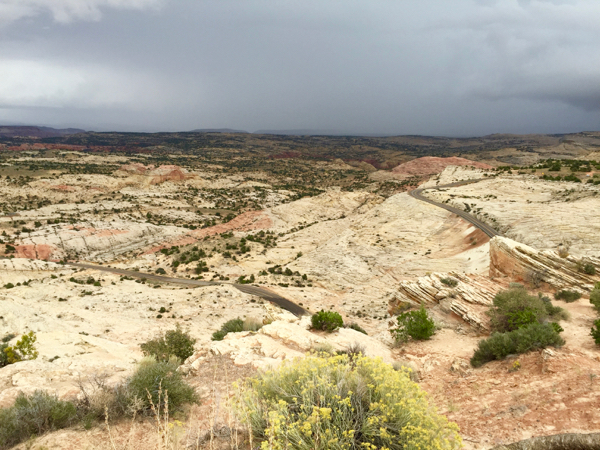 From the Head of the Rocks overlook, it’s about a 1.5 hour drive to Capitol Reef National Park. Along the way, you’ll pass over the Bluebell Knoll, topping out at an elevation of 11,000 feet. Knolls are rather high in Utah! 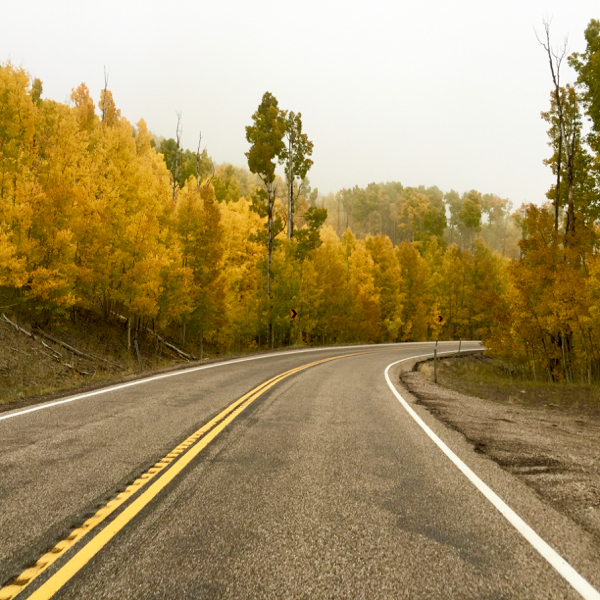 If you drive across the knoll in the Fall, you’ll be rewarded with beautiful colors on the trees! Once you start descending from Bluebell Knoll, your breath will be taken away with amazing views of the Waterpocket Fold, a 100 mile stretch upheaval of cliffs! Then, when you reach the town of Torrey, you’ll take a right onto Highway 24, and then it’s an easy 15 minute drive to the Capitol Reef National Park Visitor Center from there! 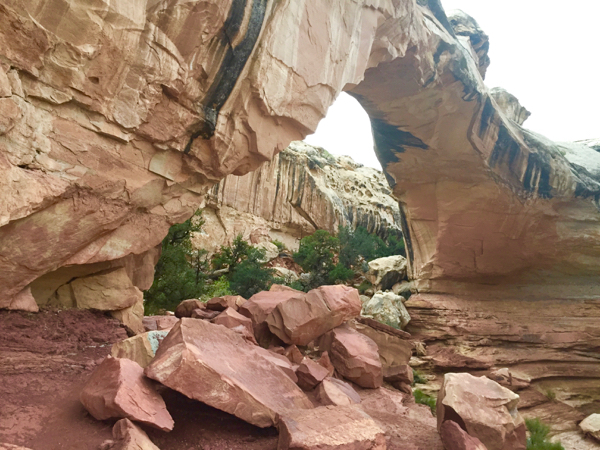 The top hike I recommend in Capitol Reef is Hickman Bridge Trail (1.8 miles roundtrip), which is located 2 miles east of the visitor center. The trail starts between the Waterpocket Fold and Fremont River, before ascending to a high plateau with great views over the ‘Capitol Dome’ rock feature! After that flat area, the trail follows along a wash through a canyon, before coming to Hickman Bridge! 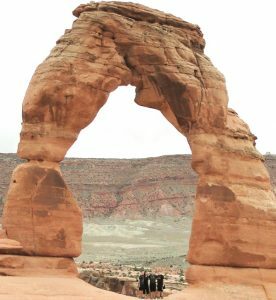 This huge arch is a seriously amazing place to hang out for a while. With views of white rock domes in the distance, a lush creek trickling through, and one ginormous arch, this is truly one of Utah’s hidden gems! Okay, now to the essentials! 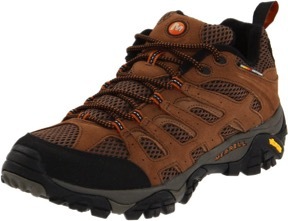 If you’re going to do any hiking whatsoever, you’ll need to bring some sturdy hiking shoes. 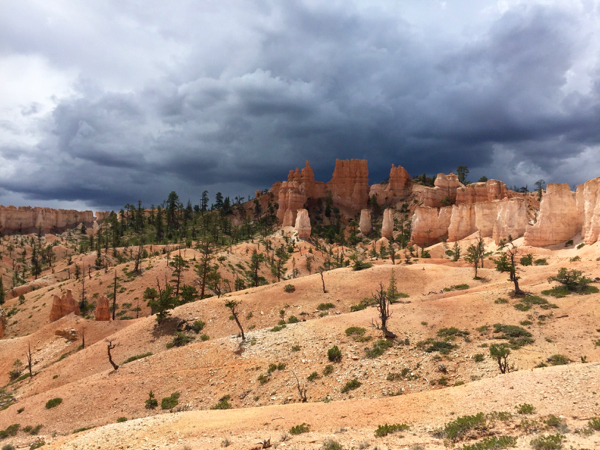 Also, Bryce Canyon’s high elevation means the weather changes fast – so stay warm with a fleece and dry from the thunderstorms with a rain jacket. The sun can be pretty intense during the summer months, so don’t forget a pair of sunglasses. 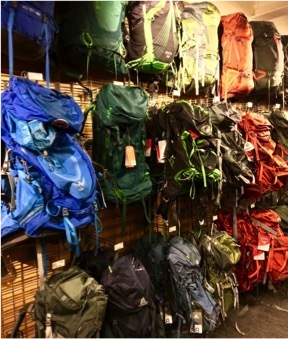 Don’t forget – a hiking daypack is your best friend while hiking. 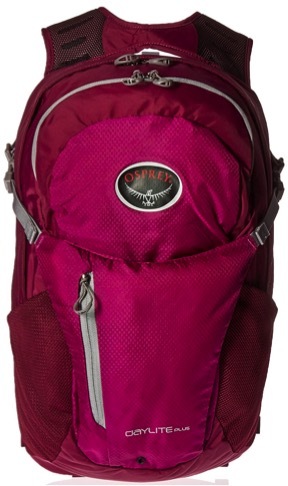 In it you’ll carry your camera, fleece, rain jacket, and other belongings. 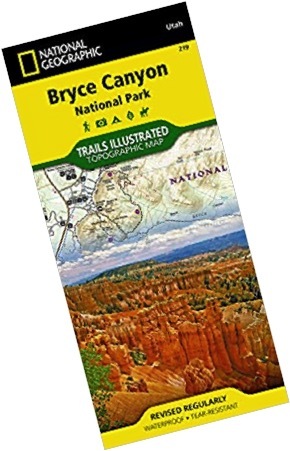 And last, bring a National Geographic Bryce Canyon map. 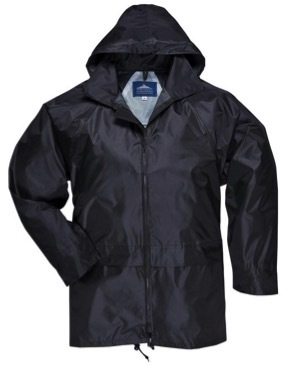 It’s highly detailed with all of the trails, and is waterproof and tear-resistant. 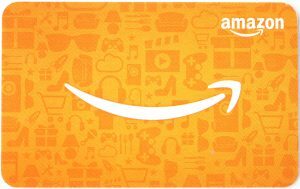 Entrance Fee is $30, and good for 7 days. 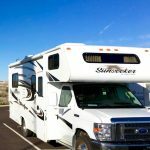 During the summer months, Bryce Canyon has a free shuttle service. 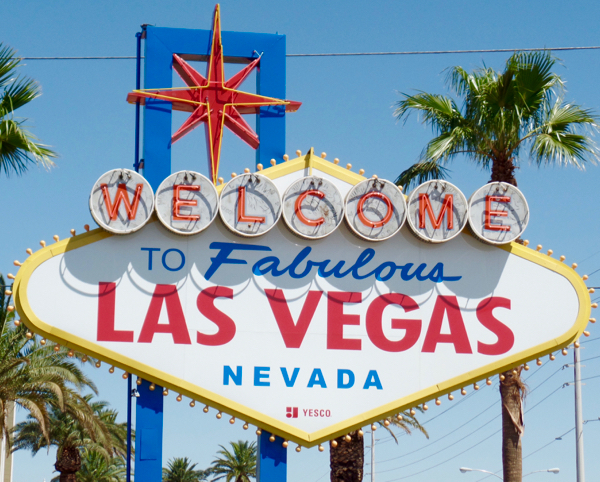 If you’ll be using the shuttle, check out the operating times here. 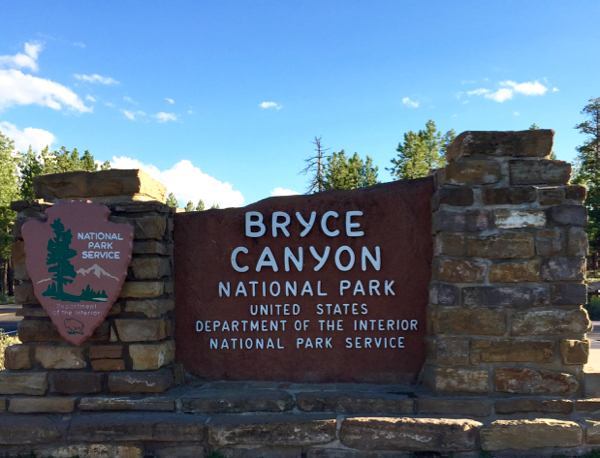 Bryce Canyon is approximately 1 1/2 hours from Kanab, 1 3/4 hours from Springdale (Zion NP), and 4 hours from Las Vegas. Before driving, always double check with google maps and the local radio station for any accidents and road closures. 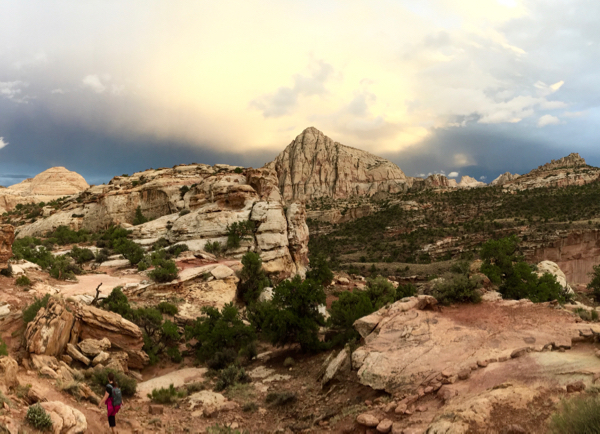 Like the rest of Utah, Spring and Fall are the best times to visit, with nice, cool weather… but look out for those thunderstorms that seemingly roll in out of nowhere! If you plan a visit during the summer, early morning or evening hikes are best, when the weather is cooler. Winter is the perfect time to take a walk along the rim trail and catch a beautiful snowy landscape! Don’t miss out! 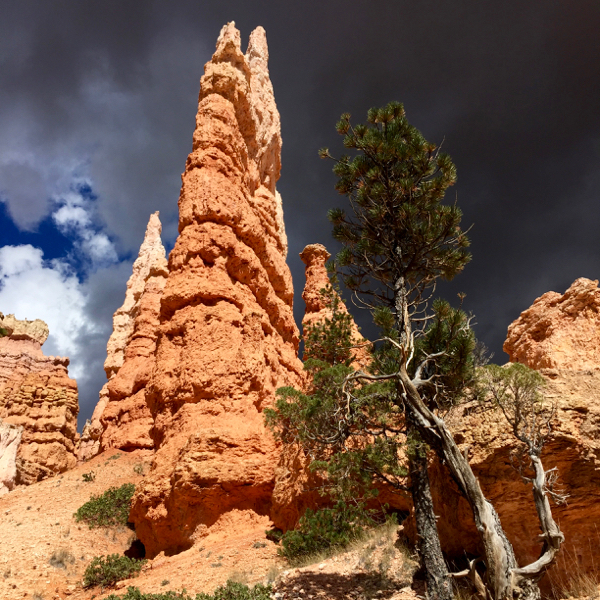 Now that you’ve read these Bryce Canyon Travel Tips, follow along with Never Ending Journeys for more fun Travel Tips and Recipes! 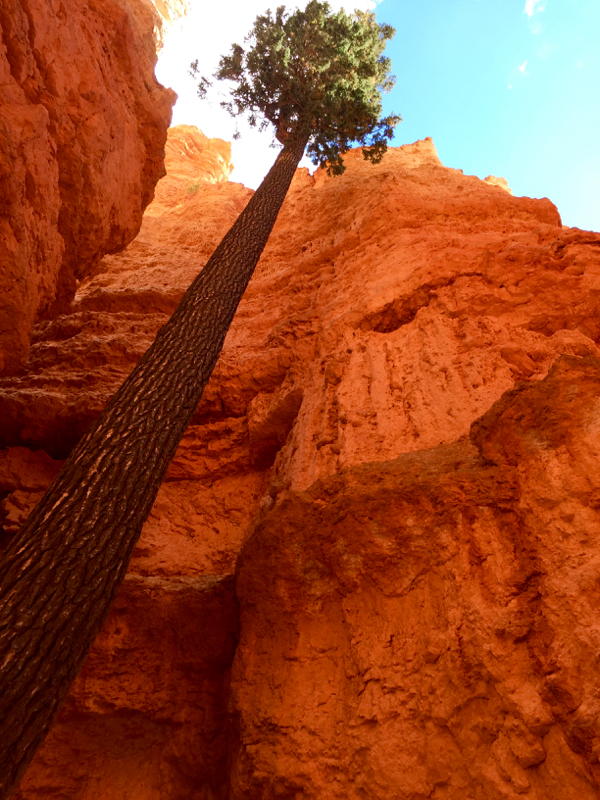 Have YOU ever been to Bryce Canyon? 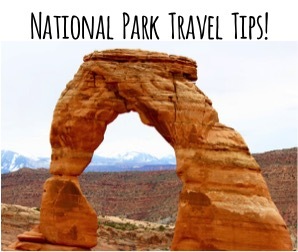 What is your favorite part of the Bryce Canyon Travel Tips? 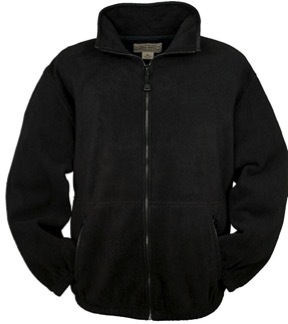 Leave a comment & share! Great info! I went to Bryce Canyon last year, and planning another trip this summer and this is making me so excited!! Thank you, Lexi! I hope you have a great trip! You’ll definitely need to visit, Colleen! 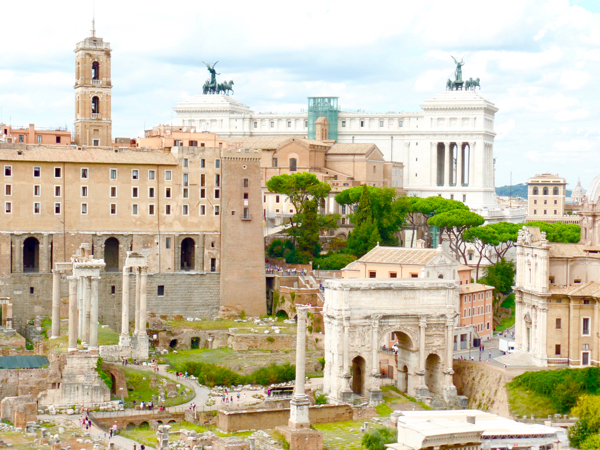 It’s very amazing there! 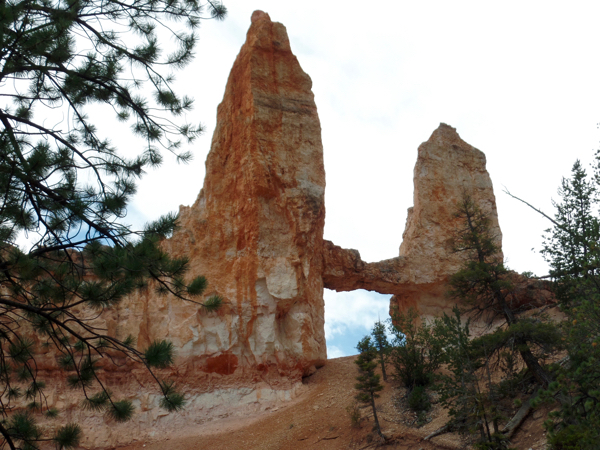 Very nice photos of Bryce Canyon. Love that lone tree near the crevice! Thanks for sharing your tips. Thanks for the wonderful tips! This place looks so incredible, I can’t wait to explore it! 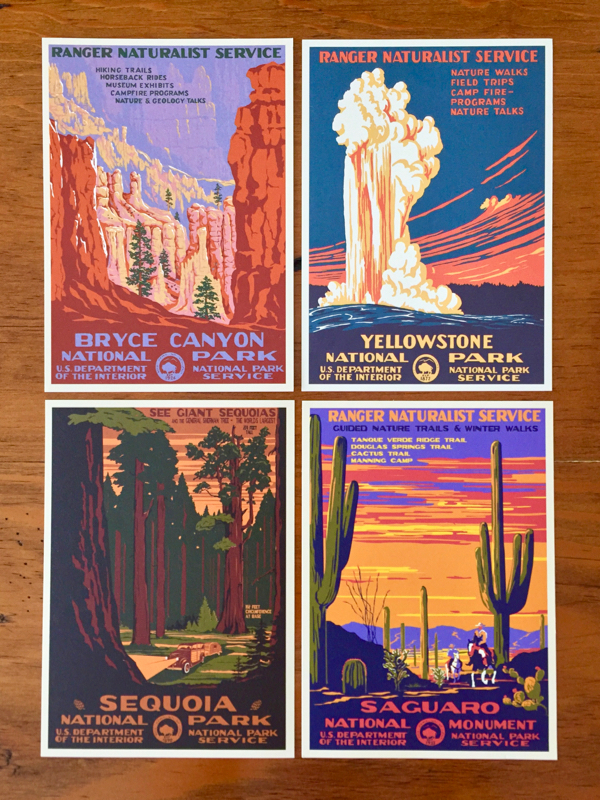 Thanks, Michael… Bryce Canyon is definitely one of my favorite national parks to explore! So much to love about this post! I’m bookmarking for later so I can plan a trip and take all of these hikes. Stunning photos too. Thanks.